ENCINITAS — DNA evidence obtained from the wetsuit of a 13-year-old boy who was seriously injured in a shark attack at Beacon’s Beach in Encinitas last month confirmed the boy was attacked by a great white shark, the city announced today. Laboratory results obtained Friday provided conclusive evidence that am great white shark attacked the boy, said Chris Lowe, director of Long Beach State University’s Shark Lab. Keane Hayes of Encinitas was mauled by the shark at about 7 a.m. on Sept. 29, while lobster diving on the first day of this year’s season for legally harvesting the crustaceans. Four beachgoers, including a kayaker, helped the injured boy get to shore and provided first-aid prior to the arrival of an ambulance. Paramedics airlifted Keane to Rady Children’s Hospital, where he was admitted in critical condition. The boy underwent surgery for a wound that stretched over the left side of his body and head, from his upper back and torso to his arm and the side of his face, said physician Tim Fairbanks, chief of pediatric and trauma surgery at Rady Children’s Hospital. 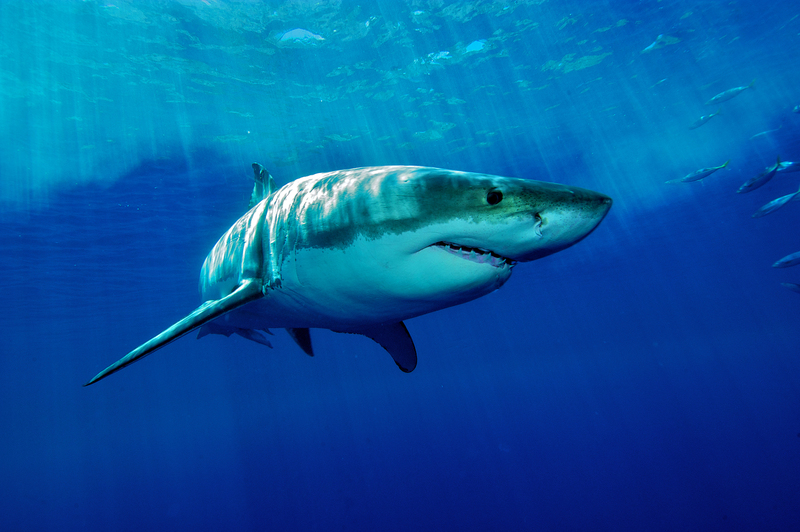 “Shark bite incidents are exceedingly rare considering the number of people that use southern California waters, but people do need to be aware that the fall season is a time when more large juvenile and adult sharks may be moving along the coast,” Lowe said. Lol..what else would it be? A coconut shark maybe? Its the only “protected” shark and its also the one that historically does all the killing and maiming of Humans since its “protection” in 1992′ what have these “scientists” been doing all these decades since JAWS?